On the back of winning the club’s VFL Best and Fairest, Ben Duscher has re-committed to the side for a further year. The announcement was formally made at last week’s Crichton Medal Evening. The co-captain had a standout year in the club’s inaugural season in the VFL competition. A major possession getter in most games, he had a best on ground performance in the club’s 43-point win over Sandringham, booting five goals and gathering 25 disposals. The hard-bodied footballer was also praised for his outstanding leadership abilities. The Bombers’ VFL season came to an end in the first elimination final against Werribee in early September. 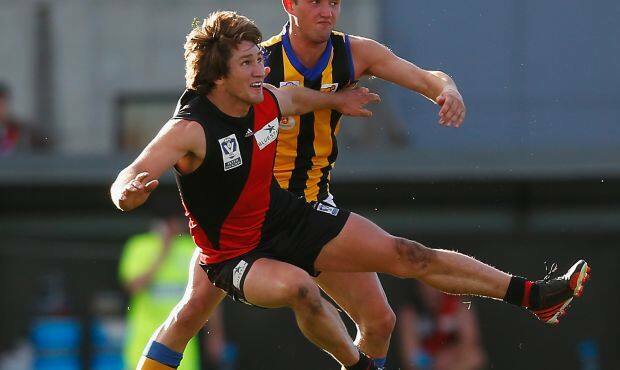 Duscher was the equal highest Bombers player to poll votes at the J.J Liston Trophy Evening in September. The three VFL coaches, including head coach Hayden Skipworth, vote on their best eight players each game for a maximum of 10 votes each. The maximum votes a player can receive for each round is 30.